Have you ever wondered why some websites rank above others on search engines? 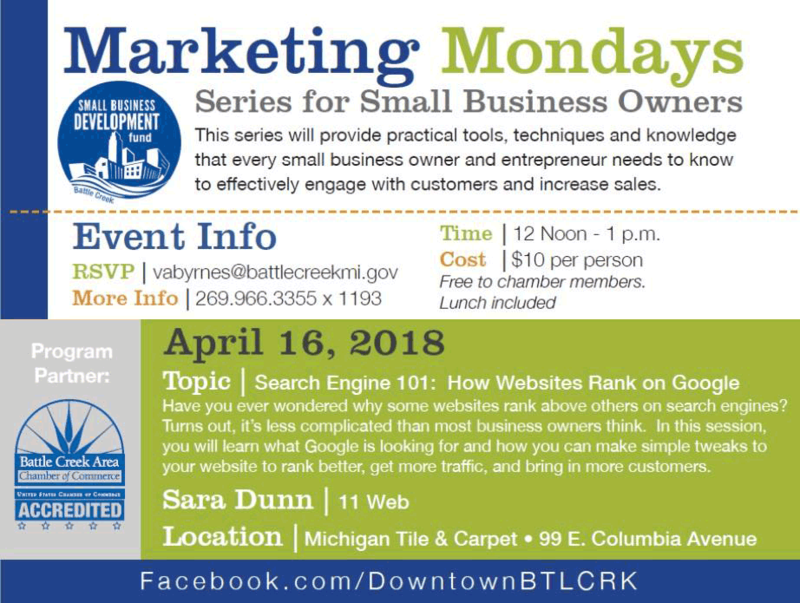 Join us for Cereal City Development Corporation’s Marketing Mondays on April 16. 11Web’s Sara Dunn will present Search Engine 101: How Websites Rank on Google. In this session, you’ll learn what Google is looking for when it ranks its search engine results. You’ll leave with ideas for simple tweaks you can make to your website to rank better, get more traffic, and bring in more customers.